Zachary Swanson is a versatile bassist performing music in an array of styles, with focus on improvised, experimental, original and folk music. Using gut strings and a personalized technique, Zachary has developed a conception of the double bass that heightens the integrity of various musical environments; from playing adventurous improvised music to backing singer-songwriters. In the summer of 2018, Swanson toured Italy and appeared at the Sile Jazz Festival with his duo project Dogwood with guitarist Nico Soffiato, promoting their recently released album Hecate’s Hounds on the Italian label nusica.org. Dogwood features an introspective approach to composition and improvised music with focus on exploring space and timbre. In March of 2019 the band Harbinger with Jarvis Earnshaw and Daniel Carter released their debut album–the music occupies a unique realm, with Jarvis on sitar, tape-delay and voice, Zachary on double bass, and Daniel on a rotating cast of wind instruments. Zachary is currently working on a forthcoming duo album with violinist Tom Swafford, and an improvised trio record with saxophonist Derrick Michaels and drummer Dalius Naujo, among being active in many other projects in the greater New York area. Swanson has appeared on albums released by 577 Records (Federico Ughi Quartet’s Heart Talk and The Listening Group’s debut album released September 2018), pfMentum (Sanctuary by Trumpets and Basses), and nusica.org (Dogwood’s Hecate’s Hounds). As an independent artist, he has been a part of many self-released albums over the years including the aforementioned Harbinger (2019), Chamber Music (2016), a duo release with guitarist Stelios Mihas, Antenna (2015), the Movement Trio’s Back of the Room (2012) among others. Zachary has performed at series’ and festivals such as the Red Hook Jazz Festival with Tomchess’ Moonship Quartet, the Inside Out music series at Brooklyn Conservatory of Music, the 577 Forward Festival, AE Randolph Presents, and is a regular performer at the Bushwick Improvised Music Series. He has also appeared at the Great Eastern Music Festival in Montauk, Falcon Ridge, Take me to the River, and Charm City Folk and Bluegrass Festival backing folk and Americana artists such as Letitia VanSant, He-Bird She-Bird, Greg Cornell, and Pluck & Rail. As an educator, Zachary has visited McDaniel College and Towson University to give a improvisation workshops with Derrick Michaels, Stelios Mihas and Jon Seligman. He has also given performances and hosted Q&A’s at Marlboro College with vocalist Amanda Bloom and again with the ensemble No Land Bands, a project that combines jazz and Syrian music to promote awareness of the Syrian refugee crisis. 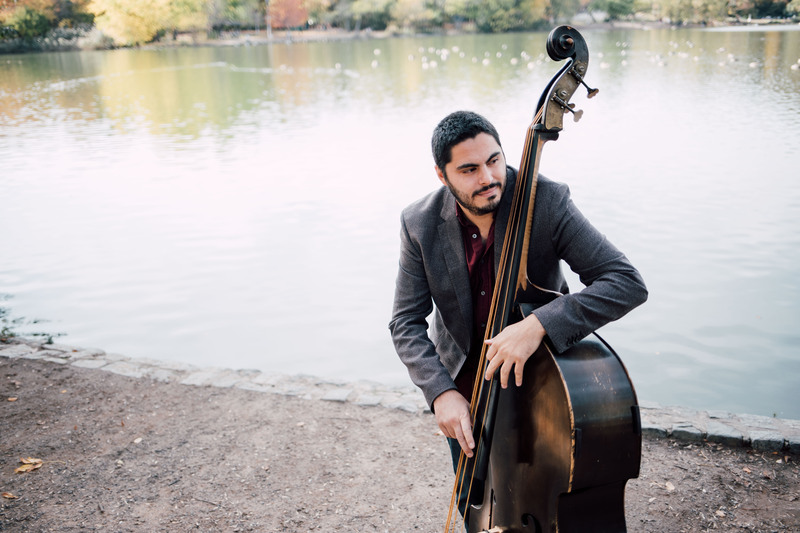 Zachary began his bass studies at the age of 6 in his home state of Massachusetts, and is a graduate of the Peabody Conservatory of Music of the Johns Hopkins University. He can be seen performing regularly throughout New York City and beyond.